The property offers comfort and relaxation for busy travellers. 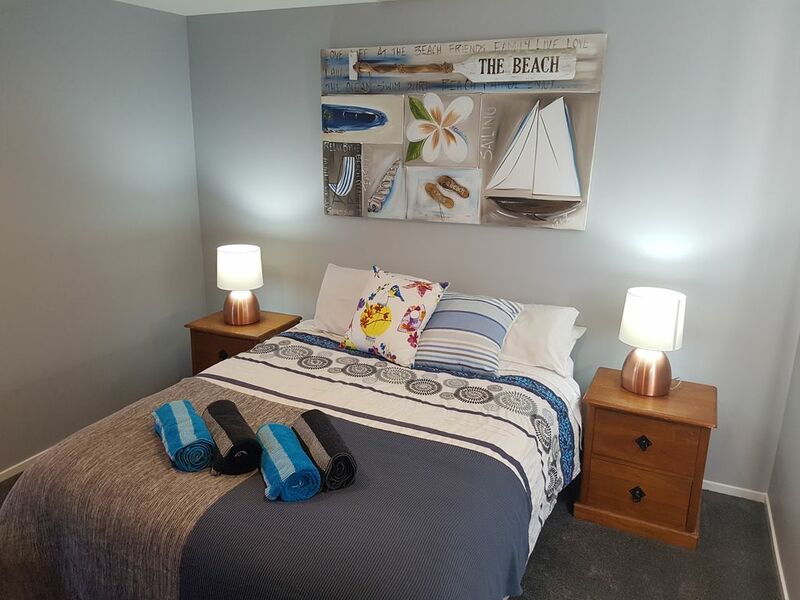 We are in the Perfect spot for Walks, Hikes, bike Rides, Swimming, Fishing, Kyaking and are less than 30 min walk to Wanaka Town Centre. You are welcome to leave luggage and then to book in later. Please Note Linen and Towels supplied. We are a family of four, Parents and two teenage boys. Included in our family are our beloved pets, Shaka, Shelly (dogs) and Cleo the Cat. We enjoy living here in Wanaka and have opened our home as accommodation in Wanaka to help others enjoy our beautiful land. Our home is situated central to everything, from our gates you can hop on your bike and you can be in the forest or by the lake within minutes. You can walk to the town centre and go shopping or watch a movie. Our home has space and views to enjoy. Beautiful lake walks and bike rides. Stunning swimming spots to be enjoyed by the family. Our family loved Wanaka and really enjoyed the hospitality of Richard and Jennie. The apartment is exactly what we needed. The kitchen is quite functional and we had a good time cooking on the bbq. My daughter REALLY loved playing with the friendly dogs and cat. She also enjoyed the trampoline. The internet signal was fast and reliable. I can recommend this property to any family of 3 or 4 looking for a place to stay. We have already told another family that we ran into while traveling that they should stay here while in Wanaka. Great place to say. Very welcoming and helpful. Facility was ideal. We enjoyed the personal space provided. We had a great stay here. The hosts were very friendly and very accommodating. This was perfect for a 3 day stay as we were out and about most of the time. Would definitely book again as it was great value. Very cozy. Will definitely stay there again! Light, modern , cosy and very clean. Light, modern , cosy and very clean. Separate from the house. Good wifi and handy having washing machine and tub. Well designed with bedroom off to side.